Recently I lost my baby boy Obi. He was 12 years old and after 6 months (today) I still miss him so much. 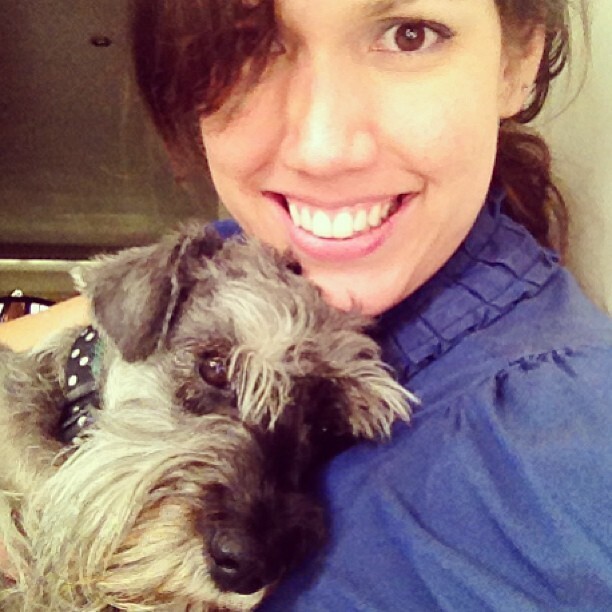 He was my companion, and people knew how much we both loved each other (following me everywhere, mad at me when I left, happy and loud when I was back and it was difficult for friends and family to get closer to me if he was there…). It’s hard sometimes not to cry, but I know he was a super happy dog and he made me so happy too. 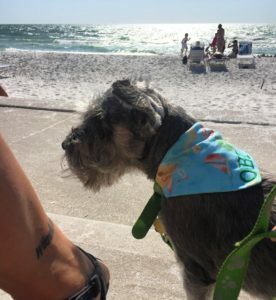 I remember when I was living in South Florida I used to take him with me everywhere, especially around South Beach for a long walk, then coffee at any spot because he was always welcome, by that time South Beach was the only place I knew dog friendly in SFL. 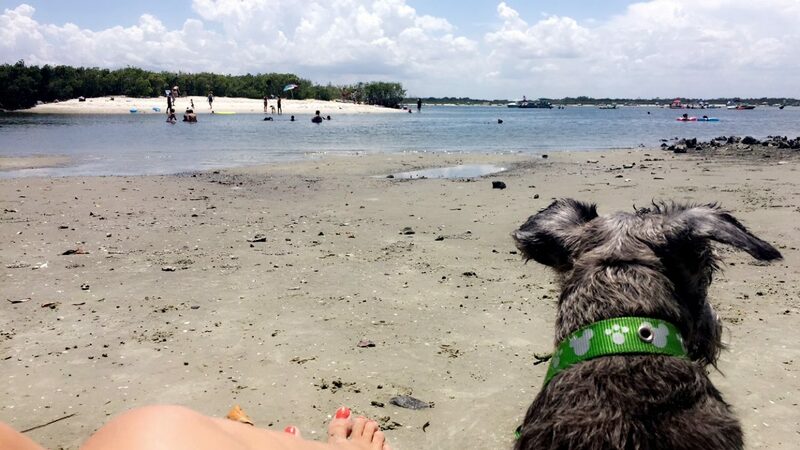 When I moved to Central Florida, – he lived for few years with my family in Venezuela because I was traveling non-stop and couldn’t take him with me all the time – things were different with dogs, there were much more places dog friendly than 10 years ago. 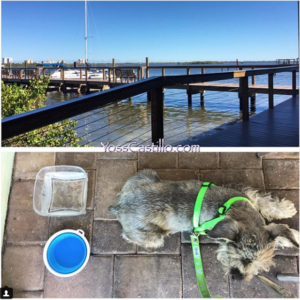 So if you have a dog and plan to visit Central Florida soon, here are some of my favorite spots I took Obi and had a great time. — Ponce Inlet. My boyfriend and I love spending time at the beach, we try to visit different beaches every time. I mean, living in Florida you have so many options. But per year, we payed $20 and we got to visit Ponce Inlet every time we wanted without paying parking (it’s usually $10 per day). The area is big, there are spaces for a cookout/bbq, a pier for fishing, bathrooms, showers and very nice views. Parking during high season might be a bit difficult but not impossible. 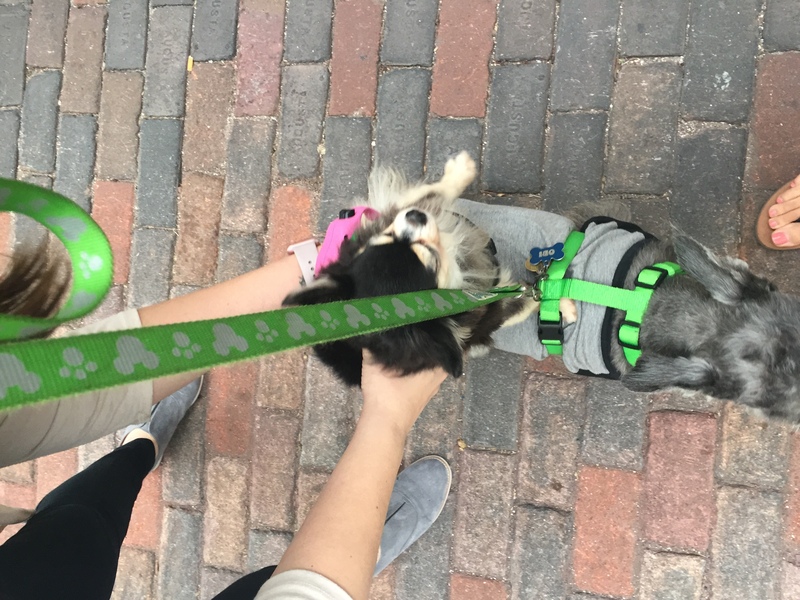 With your dog you can visit 2 areas, one next to the other. One with few waves and the other no waves at all. 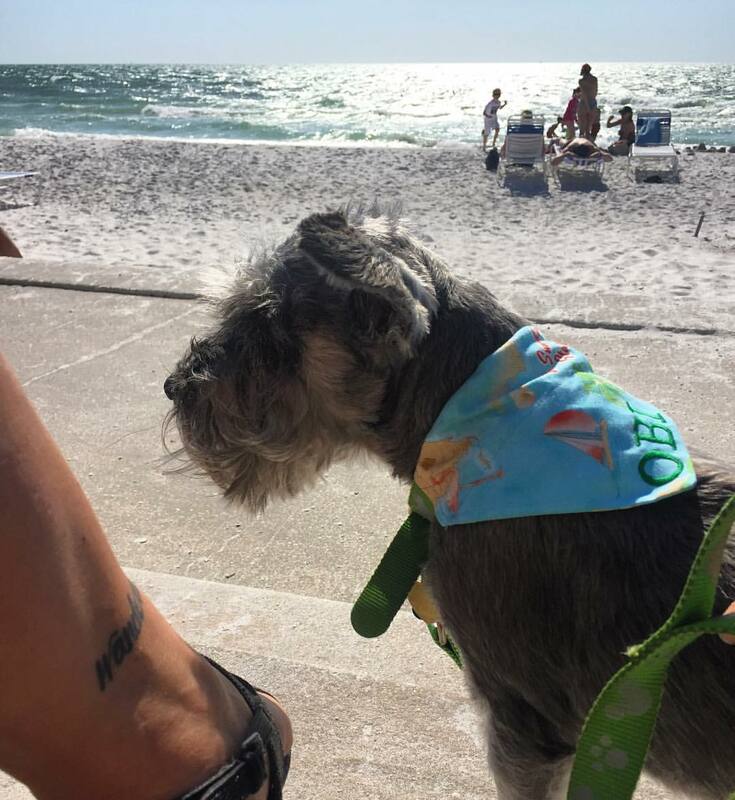 Rules are keep dogs on a leash at all times, I had to do that with Obi but I’ve seen many dogs without leash and super friendly. Extra info, you might see manatees swimming very close to you (remember you cannot touch them) and by sunset or an hour before you might also see dolphins nearby. — There are 2 restaurants close to Ponce Inlet. 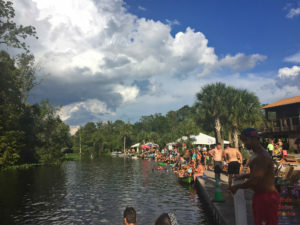 “Aunt Catfish’s On the River” and “Hidden Treasure Rum Bar & Grill”. The 1st one it’s located in Port Orange, there’s a small pier and it’s usually full. Obviously you need to stay outside with your dog but they will bring you water and it’s a very nice ambience. The 2nd one it’s few steps away from the dog friendly beach in Ponce Inlet, and it has more the beach vibe, in front of the ocean. We love the food in both places, if looking for more frozen (alcoholic) drinks I suggest you “Hidden Treasure” better. — Mount Dora. Everything in this beautiful town is dog friendly. You’ll find bowls with water for them to refresh every other time while you walk around. There are restaurants, bars, stores and nice areas to walk and enjoy the view to the lake. — I only got to take him once to Wekiva Island. This place it’s really fun and it might get crowded during Summer, but it’s great for your dog (and for you) to hang out by the river and maybe even swim in it. 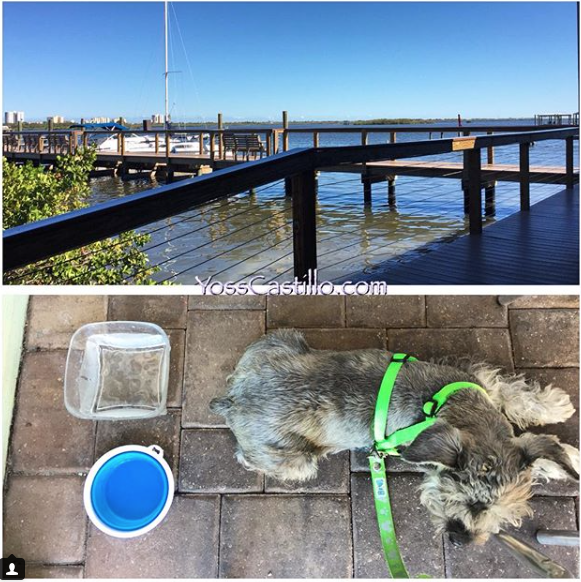 I don’t have any pic with him here, but I remember even when he wasn’t that happy inside the water, he enjoyed just relaxing with me by the stairs, getting some nice water on his tummy during the hot weather. Bring his own water to this place and always pay attention to alligators, this is Florida after all, but I see so many dogs jumping all the time to the river and there are so many people inside the water all the time. — A little more to the North, by the East Coast, St. Augustine. It’s not part of Central Florida, but in 2hours or less I loved going with him to visit one of my favorite cities. The old town it’s very dog friendly.